A crew is continuing to finish up patching up potholes in Holiday after many days of heavy rain and flooding. According to Pasco County Public Works, more than 30 potholes need to be filled all around Pasco County. Crews are trying to work fast because there are so many new potholes that have opened up after all the rain. Potholes form when water gets into the lime rock under the road, softening the roadway and creating gaps or holes. Budget troubles in Pasco County have made fixing these potholes an even tougher job. While the county may have three patch trucks to maintain the roadways, they can only afford to keep one going, according to county officials. Due to these fiscal issues, there is a large backlog of damages roads in the county that need repairs. Potholes can be found throughout Pasco County, in Holiday, Zephyrhills, Lutz, Trinity and all the surrounding areas. These are openings in the roads that are linked to inclement weather and natural wear-and-tear on the street. Potholes are created when the top layer of the road, the asphalt, has eroded to the point where the concrete base is exposed. Rain water can get inside at this point and increase the size of the pothole. With such heavy rainstorms recently in Pasco County, it is no wonder why the number of potholes have significantly increased. Unfortunately, roads with potholes are dangerous and can cause serious motor vehicle accidents. Potholes can range in their size and shape. While a small pothole may seem harmless, these can actually cause damage to a vehicle’s shocks and suspension. A larger pothole can create an impact that mimics the effects of a 35 mph auto accident. While this can cause serious damage to your car, it can also result in a severe collision. 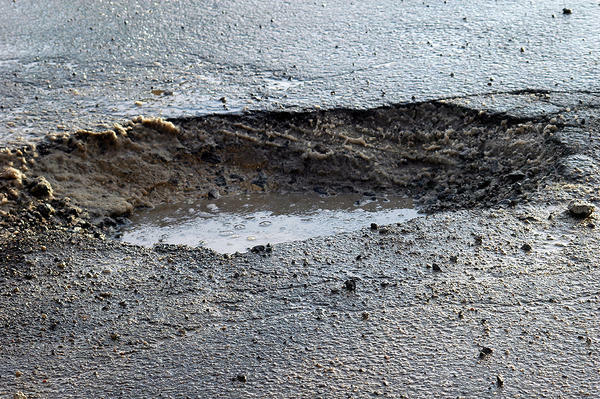 Despite the fact that the city of Holiday and Pasco County are working to remedy the number of potholes in the streets, numerous car accidents can be caused from these potholes that have been neglected by the city and county for entirely too long. When a vehicle travels over a large enough pothole in the roadway, the car might not be able to handle the sudden and unexpected impact. This can lead to the driver losing control of the vehicle and result in a car accident causing serious injuries to all parties involved. Determining liability in a pothole accident can be difficult. Cities and municipalities are obligated to maintain safe roads and highways that are free of defects and damages. If the city, entity or municipality knew of the problem and failed to fix it, they could be held liable for damages. The location of the pothole will often determine if the accident is the responsibility of the county or city. If you have been involved in an accident because of a pothole, it is best to act fast and contact a Pasco County Auto Accident Lawyer at Whittel & Melton online or call 727-847-2299 for a free consultation. We can begin helping you with your injury matter right away, so do not delay!